How Do I Know When To Scrap My Car? For some, a car is part of the family. There are memories held inside those four wheels, from passing your test and the road trips to romantic dates and the school runs. Unfortunately though, no matter what the emotional attachment, cars can sometimes end up costing more in repairs to fix than they are worth. In this case, it's probably time to say goodbye to that clunker and have it scrapped and recycled. Sometimes a car is so severely damaged that the decision is out of your hands anyway. If it cannot be fixed and is no longer road-worthy, it is a statutory write-off. The good news is, you can make some money by scrapping and recycling it. However, if you do have a decision to make on whether or not to recycle your car, here is our guide on what to consider and help you come to the best financial decision for you. What is the estimated value of your car? Firstly, you'll need to know how much your car is worth, (in a state where repairs have been fixed or aren't needed), so you can compare this to the cost of keeping your car. Some online vehicle valuations to sell a used car don't take into account your car's condition, so if you have repairs that you don't plan on fixing, this will diminish the value. If repairs are needed, how much will it cost you to fix them? Don't just assume a figure - repair costs vary depending on their scale and who you use. You can get a diagnosis and quote from a reliable mechanic or dealership and make sure you shop around for the best deal. How long will these repairs prolong the life of your car? If you are leaning towards repairing your car rather than scrapping it, ask your mechanic how long you think the repairs will last for. Will your car be in working order for another three years? If so, it may make sense to go ahead. Or will another costly repair be needed after six months? Making this a much less appealing option. How much is the reliability factor worth to you? If you rely on your car to commute to work, or your job or family situation requires your vehicle to drive long and vital journeys - you may want a new, more dependable car to avoid the breakdown headaches. If you are less reliant on your car for responsibilities, then you can be more flexible and take more risks. Also, is your car actually safe to drive? Are there airbags, seatbelts, perfectly working brakes etc.? Make sure you consider all the safety features. What other factors do I need to think about? How much do you spend maintaining your old car each month? These costs will need to be kept in mind during your sums when deciding if you're going to keep your car. Is your car rare or a classic? You'd be crazy to send a car like this straight to be recycled. Enthusiasts are likely to buy a collectible car from you, even if it needs repairs as they will fix it up. Do your research first. How much will any repairs cost you? If you repair your car, how long will the repairs extend the life of your car for? How important is a reliable car to you? How much does maintenance of your old car cost? The bottom line is, if the cost of repairs (including predicted future ones), maintenance and ensuring it is safe, is higher than the sale value of the car - that's the time to scrap. Your car may be in working condition and not need any costly repairs, but you want a change of pace. 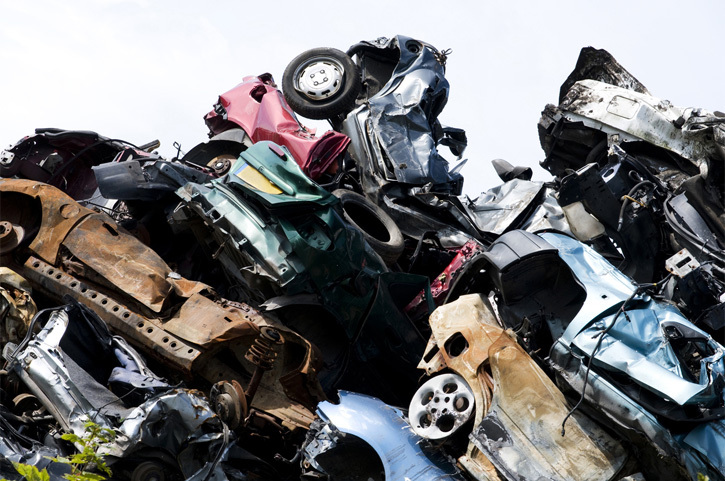 You can still recycle your car or you may choose to privately sell it. Privately selling a car, rather than recycling/selling to a dealership is likely to cost you in time though. 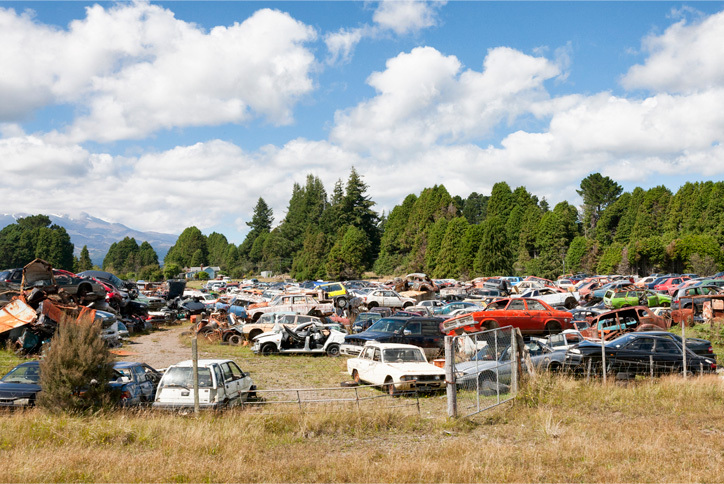 Recycling your car can remove all the hassle and save you valuable time. Your car will be collected for free and all paperwork sorted.